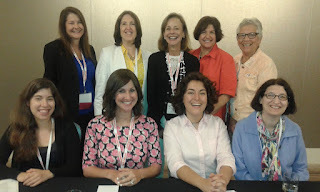 More than 900 women and men attended the biannual convention of Hadassah, the Women's Zionist Organization of America in Atlanta this past week--and several hundred of them attended sessions run by the Hadassah Foundation. On Tuesday, the Foundation moderated a panel--"To be young, Jewish, female, and a Leader"--that featured several of our grantees. 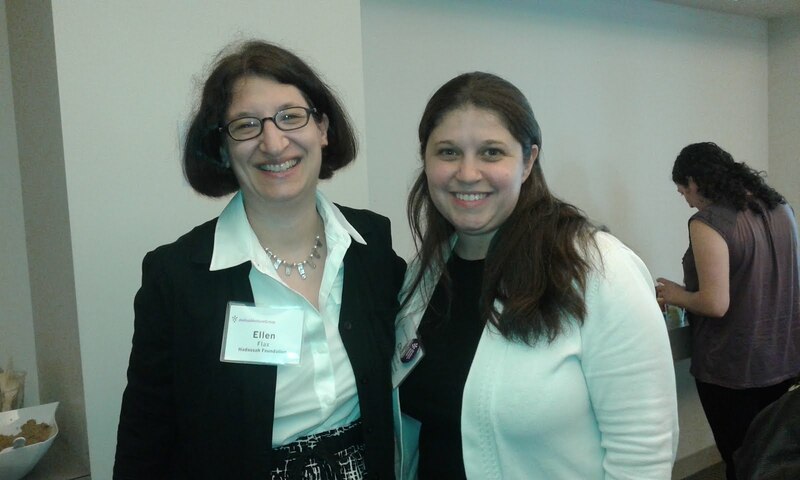 On Wednesday, Foundation Director Rabbi Ellen Flax led a study session on strong women in traditional Jewish texts. Both programs examined women's leadership, which is the main focus of the Foundation's grants in the United States. 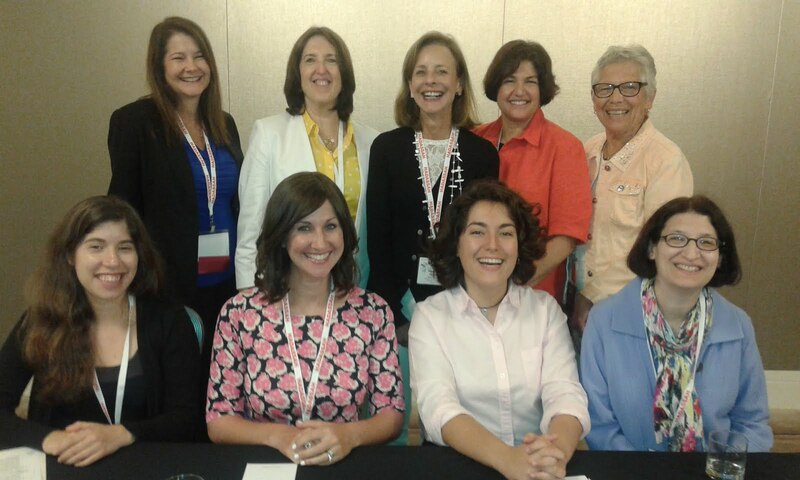 Pictured above: top row, Foundation Directors Phyllis Silverstein, Lonye Rasch, Helaine Ohayon, Debbie Minkoff, and Liz Alpert. Bottom row: Panelists Rachel Glicksman, AVODAH; Rachel Wasserman, the Jewish Women's Fund of Atlanta; Noam Green, the Jewish Women's Archive; and Rabbi Ellen Flax, the Hadassah Foundation. Chana German (above, right) runs a new Hadassah Foundation grantee--the Lookstein Virtual Jewish Academy. Many of the skills she needed to develop and run a successful nonprofit were honed as a Dual Investment Fellow at the Joshua Venture Group, a program for outstanding social entrepreneurs. Chana just finished the two-year program earlier this month, which concluded with a celebratory luncheon for the Fellows and funders in the Jewish community. During the luncheon, Chana told the crowd how the program helped her become a better nonprofit manager and learn the "business side" of running an enterprise--in her case, an organization that develops virtual Judaic studies classes for day schools and religious education programs. With her new grant from the Foundation, Chana will create (along with another JVG Fellow in her cohort) an online course on women's leadership for high school girls that fuses classical text study of Biblical women leaders with practical leadership skill building.